Upcoming thriller melodrama in Colors tv daily soap Silsila Badalte Rishton Ka will bring another major shock for Nandini and Kunal . Nandini is praying for Mauli’s happiness while here Mauli is still facing a challenging time to how deal with her insecurities and loneliness. But who knew that their all efforts will meet a drastic end when Mauli (Aditi Sharma) will get drunk in party. 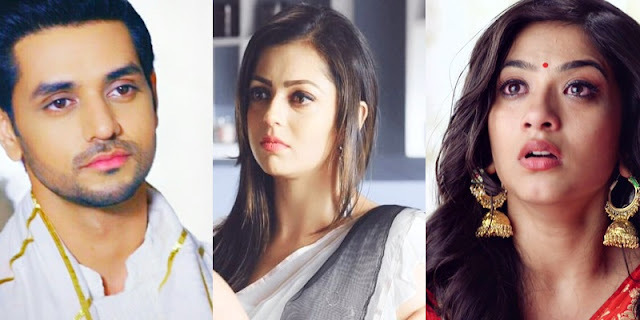 Mauli will get heavily drunk amid the party where Nandini (Drashti Dhami) and Mauli will face off. Let see what will Nandini (Drashti Dhami) do now and what she is up to after she planned Mauli’s birthday. Tune in to Tellyfocus.in for more upcoming updates and latest news.